From the first time you meet Todd Agnew, you'll realize that he's a t-shirt and jeans kind of guy. And his manner of speech will certainly reflect his sartorial taste: direct, straightforward, to the point. With a Native American background, Todd was adopted and embraced by Texas parents who were dedicated in their church attendance. Crediting his spiritual growth stemming from his family's commitment to God, he was enveloped by the music of the church from his earliest remembrance. But while his own musical skills and interests grew, including serving as worship leader at local churches, the traditional music began to lose its power, becoming ingrained as a habit instead of a worship experience and a relationship with God. "As I grew as a worship leader, I realized that when I learned a song at a camp, I sang it with all I had, but when I sang in church, it was just routine," Todd explains. "I've been in church all my life, and it was just habit for me. I knew every word to every song, and there was no speaking of God in that, just rote practice. But when I started breaking down these songs, realizing the depth and value of their meaning, I realized that I would have to teach them again, making them more relevant." It's when you get to his music that you will find the complexities that inhabit Todd's life. There is a God. There is only one and there is no other. He is our Father who created the universe and yet knows us intimately, our Christ who is the fullness of God and yet is humble enough to become a man for our sake, and our Spirit who guides us with the power to convict and to comfort. We are sinners. Jesus is the Son of God who came to earth as a man and died on a cross for my mistakes. On the third day, He rose again. His death is accepted by God as the perfect sacrifice for my mistakes. He is holy, different from us. He is worthy of a life of worship. 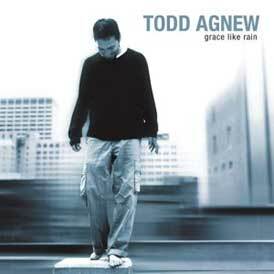 His debut album for Ardent Records, Grace Like Rain, is a dizzying array of musical styles, none of which seem out of place and all of which help serve Todd's dual purpose as a communicator, horizontally reaching out to a young generation looking for inspiration and vertically reaching out to the Creator who provides that inspiration. Todd knows that it's because he chose to listen to God's still, small voice that he's been able to then sing loudly from stage. Spending more than a decade passionately serving in the worship field, he traveled to churches that needed music where God sharpened his performance and writing skills before even thinking about making a record. "I was at a point where I had many different avenues I could have gone down in my ministry: I was leading worship, I was doing my little coffee-house, singer-songwriter thing, and I was playing cover stuff while doing evangelism by playing in clubs," Todd says. "That's where you get all the Dave Matthews, Creed, Counting Crows pop music influences; it came from playing covers." Grace Like Rain melds rock, blues, soul, and gospel in an unabashed attempt to not only capture as many ears as possible, but also to keep Todd from being pigeonholed as an artist in his first time out the gate. "I haven't limited myself to one style because musical creativity is an act of worship to an infinitely creative God," Todd says. "I didn't want to put out an album where you could listen to one song and immediately put a label on me as a whole." It's in that joining of the familiar and the progressive where Todd's music finds its power. That's why a song like "Grace Like Rain" makes such an impact, taking text from one of the world's best-known hymns in "Amazing Grace" and placing it within the context of a groove-laden, alt-rock track. Todd further adds his gritty vocals, singing with a concurrent joy, amazement and thankfulness about his, and subsequently our, sins being washed away. "About a year and a half ago, God said to me, 'why don't you marry all of those influences together?' I started combining that mainstream sound with worship because that's what our generation liked, wanted, and needed." As a result of the not-so-gentle prods from a friend, Todd reached out to Ardent Records' Dana Key about using Ardent Studios in Memphis, where Todd had relocated, to work on a record. The longtime Christian music veteran gave Todd more advice than he had expected. "When I started it, I went to Dana because I knew him from an earlier project. He talked to me about the business and everything, and I had to interrupt him, saying 'Look, I'm not coming to ask to be on your label, I just want to use your studio. Walking by where Todd was recording, I found myself stopping and listening to his music," says Dana. "It wasn't long before I wanted to get involved. Similarly, whenever I play some of Todd's music for people, it has the same effect of stopping them in their tracks. His music is definitely not background material-it's music that demands attention." While plunging headfirst into the miasma of the music business wasn't exactly something Todd was expecting at this juncture, he knows that because of his own experiences and being in touch with what God has planned for his life and career, the rigors of what is about to come will be handled. "This wasn't necessarily something I was aiming for," says Todd. "God just took His time molding before releasing me into a world I could not have handled earlier in my life. "What God did with me was give me a gift, so I started playing and leading worship and doing a lot of the other things, and God basically took my heart and started refining it and sculpting it and telling me, 'This is who I want you to be. I want you to be somebody who wants to be about reaching people.' Once I really had a grip on that, those doors started to open because I was ready to start looking at music." And the music that has come forth out of Todd is as crafted and polished as any debut to come down the pike in years, with songs like "Reached Down" rocking with an unfettered intensity alongside quieter tracks like "Still Here Waiting," a tune excellent in its reverence and message. Then there's "Lay It Down," one of the first songs Todd wrote after relocating from Houston to Memphis, and the one that most vividly shows his love for blues, rock and gospel. Todd had been working with Metro Bible Study in Memphis, and pulling together a band of professional players jumpstarted his creativity. "For the first time, I had a pro drummer," Todd says. One time I was warming up with some Dave Matthews stuff, and I hit the break in the middle of "What Would You Say?" and she just jumped right in there, playing Carter Beauford's part. We started taking these worship songs and turning them into rock songs, or funk or blues or whatever we felt like worked best. That was a very freeing experience for me, and combined with the fact that it was Memphis, it really affected my writing. "I'd been in Memphis about a month when I wrote "Lay It Down", and through it, although I've grown up in Texas and have been listening to rock music my entire life, the whole blues influence is now a big part of who I am and who I'm becoming." Todd also lets it fly on "This Fragile Breath," known by its nickname "The Thunder Song." The cut's big, anthemic sound came after a long-simmering revelation. "One day, it hit me all of a sudden. You know what? Worship music, it's power ballads, just done on acoustic guitars and djembes. If we're gonna play a power ballad, let's play a power ballad" Todd says. "That song is all about 'God, I'm here and I want to worship you,' but when it comes down to it, these songs are very small, piddling and insignificant compared to the fact that He is God, and He speaks with thunder and lightning, and what do I have that can compare to that? When it comes down to it, I don't have much, but whatever it is, here, this is what I can offer." For Todd Agnew, being cognizant of his surroundings and situations is a strength when it comes to his relating to people and leading them in worship. In fact, it's all part of his primary goal. "My focus when I play as a worship leader is to worship honestly. If you can't sing something honestly, don't sing it; you're not fooling God," Todd says. "He's not getting any honor by you singing a line you don't mean. If that means you have to leave out a line, that's fine. We're not up here taking attendance, seeing who's singing which line. Worship from where you are." 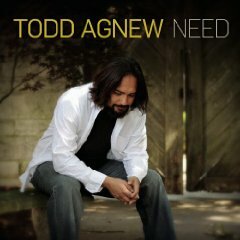 Ardent Records' signature voice, Todd Agnew, is currently in the studio recording his anticipated sophomore album scheduled for release early in 2005. Recording at Memphis, world-renowned Ardent Studios, which has lent its distinctive halls to such artists as R.E.M., ZZ Top, Dave Matthews, Bob Dylan and numerous other notables, Agnew is co-producing the project along with veteran John Hampton (Gin Blossoms, Stevie Ray Vaughan, Audio Adrenaline). 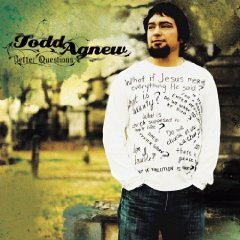 Agnew's yet-to-be-titled album follows his 2003 critically acclaimed Grace Like Rain, the debut project that earned him four Dove nominations in addition to honors from Christian Music Planet as one of "12 Artists to Watch in 2004" and Worship Leader magazine as the "2003 Breakthrough Artist of the Year." Recently exceeding 100,000 retail sales in less than a year, Grace like Rain continues to garner fan appeal including remarkable success at radio. Following two consecutive No. 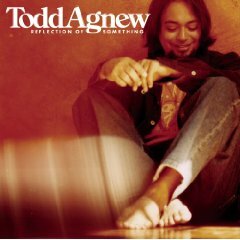 1 singles, "This Fragile Breath (The Thunder Song)" and "Grace Like Rain," Todd is simultaneously releasing two new songs to radio on Friday, August 20; "Reached Down" for CHR and "Still Here Waiting" for AC/INSP. In between studio sessions at Ardent and wrapping up this summer's performances at various youth camps and festivals across the country, Agnew is preparing to traverse the nation on two major-market tours this fall and winter. He will headline World Vision's "In the Name of Love Tour" beginning this September along with artists Building 429, BarlowGirl, Starfield and speakers David Nasser and Brian Currie. Agnew will continue in November as a special guest on "Target presents Adoration: The Tour" with Newsboys and Rebecca St. James. In addition to significant concert exposure, Agnew will be featured in a "Todd on Tour" promotion this fall with participating retailers. Starting Sept. 15, Grace Like Rain product will feature a special sticker providing purchasers with access to free downloads of new Agnew songs, giving a sneak preview of his 2005 studio project.